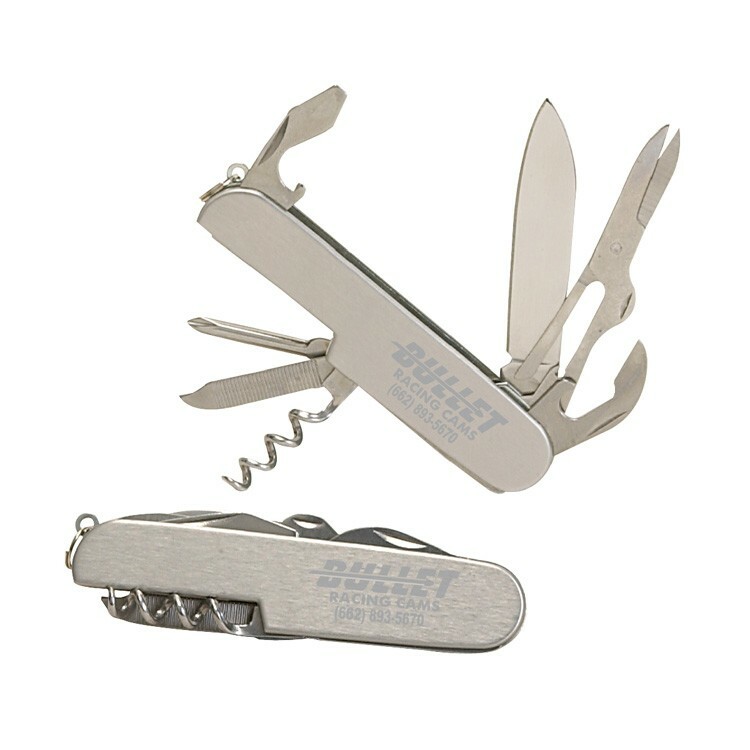 7-in-1 Swiss style multi-function pocket knife. Includes: scissors, corkscrew, two screwdriver, regular knife blade, two bottle opener and toothpick. Price includes imprinting or laser engraving, engraves silver.